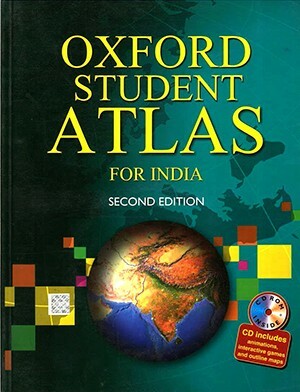 The Oxford Students Atlas for India uses the latest state-of-the-art techniques to produce maps that are accurate and easy to read. Thoroughly researched and up-to-date, this completely new third edition of the atlas is designed keeping in mind syllabi requirements of various education boards in India. It covers India’s physical, geo-political, environmental, demographic, socio- economic, cultural, and historical features with thematic and statistical representation on a range of topics that are usually included in major syllabi. In addition, it vividly traces geographic characteristics of each continent with regional maps of important countries and the world.